Switzerland has been home to several talented artists. Today, their paintings hang in museums and private collections around the world. These individuals have truly left their mark in the art world, and the movement(s) associated with them. Here are a few of the most well-known Swiss painters. Arnold Böcklin was a painter born in Basel and one of the most preeminent painters associated with the symbolist movement. Böcklin studied at the Art Academy in Düsseldorf and a pupil of landscape artist Johann Wilhelm Schirmer. He was known for creating mystical and mythological works of art, many of which depicted nightmares of war, plague, and death. Böcklin’s most famous work entitled Isle of the Dead was purchased by Adolf Hitler, who adored Böcklin’s work. Other artists such as Salvador Dali, Sergey Rachmaninoff, Marcel Duchamp, and H. R. Giger were inspired by Böcklin’s symbolic and fantastical pieces. 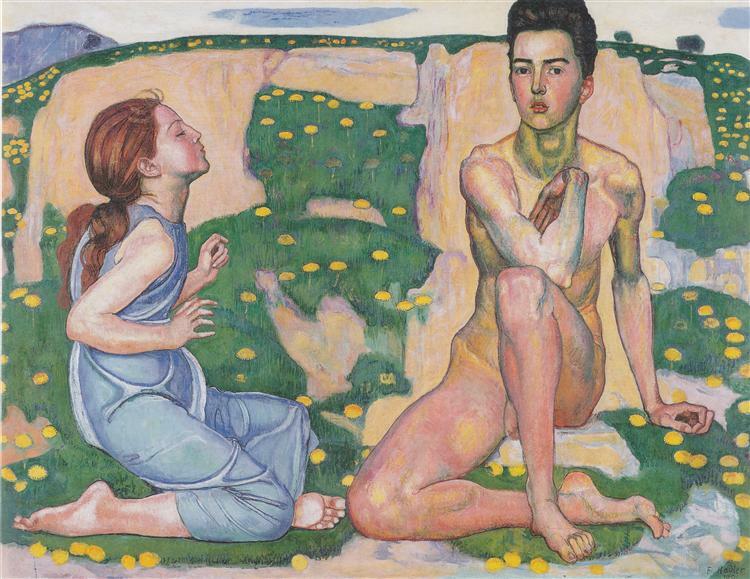 Born in Bern, Ferdinand Hodler was one of the greatest and most celebrated symbolist painters. He became well-known for his work with portraiture and his brilliant, emotionally expressive, and overpowering landscapes. Hodler’s paintings mainly related to Swiss themes or places. Because of this, he was widely regarded as Switzerland’s national painter. While he did not receive a traditional academic education, he was apprenticed by a local decorative painter. Hodler developed his own style called parallelism, which was a combination of symbolism and art nouveau. This style was characterized by the symmetrical arrangement of figures and rhythm, of which Hodler believed formed the basis of human society. His most famous works include Eurythmy, Night, and The Woodcutter. Today, Hodler’s works are on display at the National Museum in Zürich, the Museum of Art and History in Geneva, the Musée d’Orsay in Paris, the Metropolitan Museum of Art in New York City, and the Art Institute of Chicago. Paul Klee was a Swiss-German painter born near Bern. He spent many years in Germany where he studied at the Academy of Fine Art in Munich, and taught at the Staatliches Bauhaus, otherwise known as the Bauhaus school of art, design and architecture. Klee was inspired by expressionism, cubism, and surrealism. He was also a member of The Blue Rider, an art movement associated with German Expressionism. Klee was known for his colorful fantasy-style art that depicted a world of semi-abstract, dream-like images. He experimented freely with artistic techniques and applied paint in ways that were unusual for his era. Examples include stamping, glazing, impasto, spray paint, and applying paint with a knife. Some of Klee’s better-known works are Mask of Fear, Tightrope Walker, Pastorale, and Twittering Machine. Today, a large portion of his work is on display at the Zentrum Paul Klee, a museum in Bern dedicated solely to his art. Born in Chur in the Canton of Graubünden, Hans Ruedi (H.R.) Giger was one of the preeminent artists of Fantastic Realism. He studied architecture at the Zurich School of the Applied Arts, and worked as a painter, sculptor, and set designer. Giger’s main influences were painters Salvador Dali and Ernst Fuchs and was known for predominantly using an airbrush to create his art work. Giger’s innovative style involved interconnecting humans and machines into a cold biomechanical relationship, as well as displaying fetishistic sexual imagery and surreal, nightmarish landscapes. Examples include Necronom IV, Astro-Eunuchs, and Erotomechanics VII. In 1979, Ridley Scott hired Giger to create the monster for the movie Alien. In 1980, Giger was part of the special effects team that won the Academy Award for Best Visual Effects. Today, his works are on permanent display at the H.R. Giger Museum in Gruyères.